out into the rain I dash. My guide dog needed to pay a call of nature earlier this evening. While I was aware of the rain, I was not cognisant of the storm which suddenly broke overhead. Had I been aware, I certainly would have remained safely indoors! As it was, all ended well. This entry was posted in books, creative writing, literature, newauthoronline, poems, poetry, uncategorised and tagged blindness, guide dogs, k morris poet, kevin morris poetry, lightening, poems, poets, rain, storm, the weather, thunder on March 10, 2019 by K Morris Poet. the landscapers, not knowing me, came to my door, thinking it was my driveway and my car. he gave me his card, saying he remembered asking me years ago if drivers were stopping to let me cross streets with my white cane. I couldn’t believe it. and stopped to talk to a neighbor in a wheelchair when she told me there was a policeman behind me. I turned around and there he was, on a bicycle. Where had he come from? Had he seen me jaywalk? Was I about to get a ticket, my first ever brush with the law? get the license plates from offending vehicles. He said he would bring up the issue at roll call and rode away. Now, I was again flustered, even though I’d done nothing wrong this time. All I could tell him was that our first meeting had inspired my first novel. would pay for it, so all’s well that ends well. This entry was posted in books, creative writing, literature, newauthoronline, poems, poetry, sharing your work, uncategorised and tagged abbie johnson taylor, blindness, disability, k morris poet, meeting inspiration again, memoir, my ideal partner how i met cared for and married the man i loved despite debilitating odds, newauthoronline, novels, we shall overcome on February 28, 2019 by K Morris Poet. Yesterday evening, while out for a meal with my friend Brian, I was reminded of the former programme on BBC radio 4 entitled “Does he take sugar?” The programme derived it’s title from the question posed to the non-disabled companion of a disabled person, as to whether the person with a disability wanted sugar in his tea. The obvious point being that the question should have been directed to the disabled person (not to their companion), as by addressing the non-disabled individual the man/woman posing the question was patronising the disabled person. To return to my meal yesterday evening. As a blind guide dog owner I have been eating in this restaurant for approximately 18 years. The food is (almost invariably good) and the service (usually excellent). Yesterday evening our waiter was attentive and the food arrived promptly and tasted as a good Indian curry should taste. However the waiter proceeded to address Brian (who is fully sighted/non-disabled) and asked “Is the dahl his”, “is the chicken his”. The above was most odd as I have (as I said above) been eating in this restaurant for some 18 years or so. I sometimes pop into the place alone and enjoy a quiet meal and on these occasions the waiter in question has interacted with me in a civil and friendly way. It is, therefore most bizarre that yesterday evening he chose to basically ignore me and interact with my non-disabled friend. To ignore a disabled person and interact with their companion is deeply disrespectful. It is, in effect treating the person with a disability as a non-person (as though they where incapable of thinking and acting independently). In the vast majority of cases those with disabilities are more than capable of answering for themselves and treating them as non-persons is deeply demeaning. There are, of course exceptions to this. For example a minority of people with very severe learning disabilities are not capable of making decisions for themselves and do need others to act and speak on their behalf. However many other people with learning difficulties do live independently and are capable of speaking for themselves and the assumption should always be that an individual is able to represent him/herself unless their exists strong evidence to the contrary. Some people fear what they have not encountered and this may help to explain why they disregard the person who is disabled and choose instead to interact with their non-disabled companion. More education is needed to drive home the point that those who are disabled are persons in their own right and are possessed of thoughts, hopes and desires in the same way as are their non-disabled peers. I will, I feel sure encounter other incidents of this nature. It is deeply depressing and all I can do is keep my temper and politely request that the person doing the patronising please address me and not my non-disabled friend. This entry was posted in literature, newauthoronline, uncategorised and tagged blindness, disabilities, disability, Does he take sugar, k morris poet, newauthoronline, restaurants, social interaction, visual impairment on January 20, 2018 by K Morris Poet. Can I ask you a daft question? 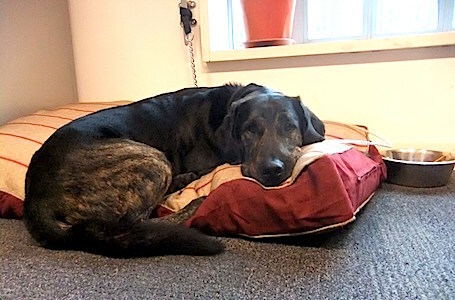 Being a guide dog owner brings with it many advantages, (the companionship of a wonderful brindle Labrador/retriever and a highly effective mobility tool being 2 of the most obvious). During my social and working life I am asked many questions regarding how guide dogs work, most of which are perfectly reasonable. I always answer such queries as its important that people understand the vital role played by guide dogs in enhancing the independence of visually impaired people. I am however sometimes flabbergasted by the daft questions put to me. I am known for my dry (some would say sarcastic) sense of humour. Consequently I am highly tempted to reply along the following lines, “no, he will stay in London for the 7 days I shall be in Liverpool. Don’t worry I shall leave him enough food and water to cover my absence. I am, however a little concerned that my home might be rather messy on my return …!”. I do, however bite my sharp tongue and respond that the whole purpose of a guide dog is to act as a mobility tool. Consequently Trigger goes everywhere with me (the UK Equalities Act makes it an offence for a provider of goods or services to discriminate against a person for a reason related to their disability. As a guide (or other assistance animal) is necessary to the independence of many disabled people, the Act makes it an offence for restaurants and other establishments to refuse to admit a disabled person when accompanied by their working assistance animal). 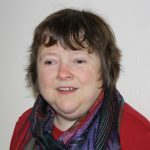 This entry was posted in newauthoronline, uncategorised and tagged assistance animals, blindness, funny stuff, guide dogs, humour, k morris poet, mobility, newauthoronline, silly questions, visual impairment on October 3, 2017 by K Morris Poet. Being blind and unable to read print, I find the Amazon Kindle’s text to speech facility a huge boon. For anyone who is unaware of the text to speech facility, when activated, it reads aloud books where the author/publisher has enabled speech. While the reading voice is robotic, it has improved over the years and (in my experience) once the reader becomes lost in a good book, it is easy to forget that a dalek is doing the reading! 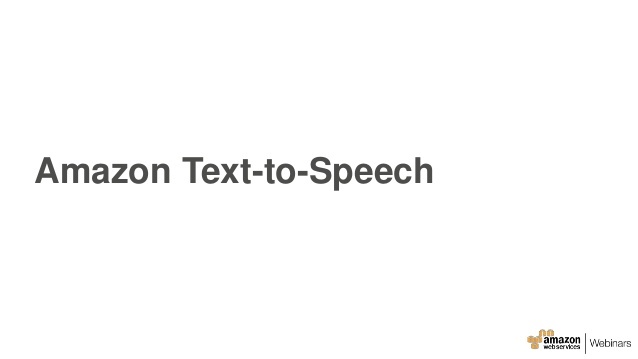 The majority of books in the Amazon Kindle store have text to speech enabled. Of those which do not, most (perhaps all) are available as audible downloads from audible.co.uk/audible.com. However, Audible titles are, on the whole more expensive than their Kindle counterparts, which means that someone who is unable to read print must (if the text to speech facility is not enabled on the Kindle version) spend more to obtain the book in audio form. Personally I believe that all titles should have text to speech enabled irrespective of whether they are available from Audible or other suppliers of audio titles, as it is wrong that a blind individual has to pay more for an accessible version of a book. 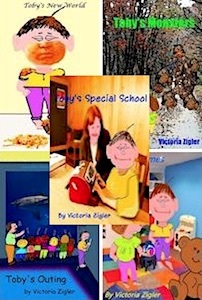 All of my books have text to speech enabled meaning that they are accessible to all. In addition my collection of poetry, “Lost in the Labyrinth of My Mind” can be purchased, in braille from the Royal National Institute of Blind People (RNIB), while my latest poetry book, “My Old Clock I Wind” is in the process of being added to RNIB’s library. To purchase “Lost in the Labyrinth of My Mind” in braille please go to, http://www.rniblibrary.com/iguana/www.main.cls?surl=search#savelist=General_*_LOSTLABYRINTH, and to buy it in print or ebook formats please visit, http://moyhill.com/lost/. To obtain “My Old Clock I Wind in ebook or paperback please visit, http://moyhill.com/clock/. You can find links to all of my titles on my website, https://newauthoronline.com/about/. This entry was posted in books, creative writing, literature, newauthoronline, poetry, short stories, uncategorised and tagged accessibility, amazon kindle, audible, blindness, k morris poet, newauthoronline, poems, poetry, Reading for all, text to speech on August 4, 2017 by K Morris Poet.